Mt. Zion Suburban Apartments - Triangle Associates, Inc.
MT. 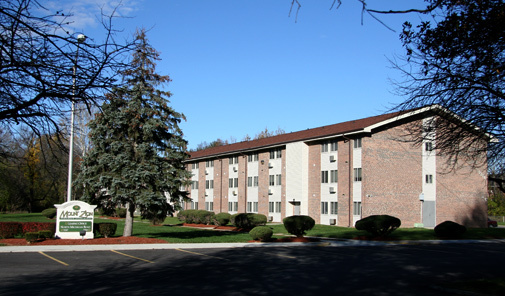 ZION SUBURBAN APARTMENTS is a Section 221(d)(3) MIR property with Section 8 contract, which makes Section 8 Assistance available to 100% of its 118 rental apartments. 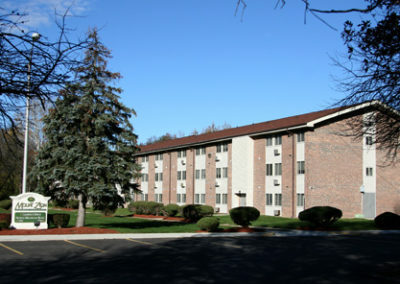 Mt Zion Suburban units are available to eligible elderly households in, which the head or spouse is either 62 or older. Mt Zion Suburban consists of two three-story elevator buildings and does not offer health care or medical services, food services, or housekeeping services. Mt. Zion Suburban does not discriminate on the basis of disability status in the admission or access to, or treatment or employment in, its federally assisted programs and activities.